Relationship counselor and psychotherapist Janine Alexander brings her knowledge and clinical experience together in this honest and accessible guide to provide you with insights and answers to your relationship dilemmas. Much has been written about various aspects of love. The problem is that too many people are walking around in the dark picking up confusing and biased information in a piecemeal fashion about love and relationships, finding themselves still stuck in their hurt, sadness, anger and confusion and repeating their mistakes as a result. Enough is enough. … and more in this book that promises to build strong foundations, putting you in a firm position to have the kind of life and love you want. You do not have to feel confused, worried or condemned to repeating unhappy, failed or abusive relationships. You can break the cycle when you’re shown how. 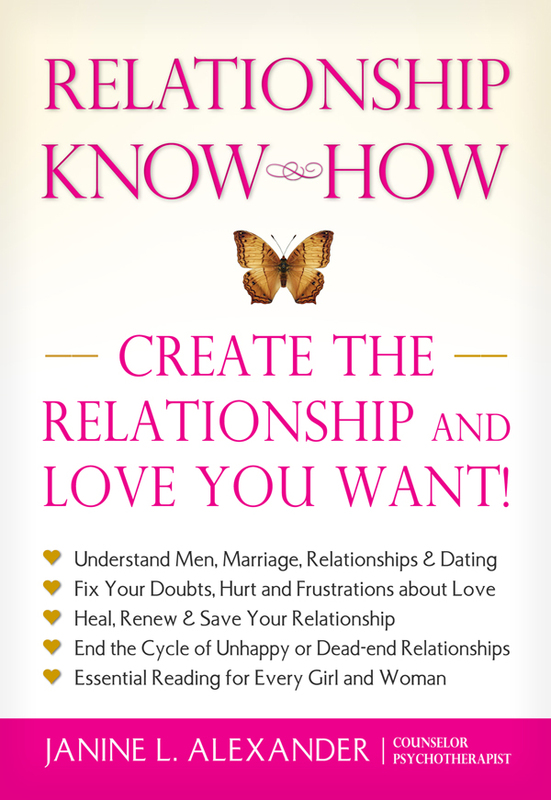 Whatever the situation or challenge, Relationship Know-How will empower you to create the life and the love you want. You can purchase the book online from Smashwords in multiple eBook formats at https://www.smashwords.com/books/view/328497.